Awarding the best Artists, Scholars, and Media Producers. That's right! K&H is finally coming to Calgary on October 31, 2008. And it's not going to be an ordinary concert; it will be one of the greatest live concerts Calgary has yet to see. The concert is being held at one of the most luxuries and most prestige venues in Calgary, The Calgary Telus Convention Centre. Don't miss out; it will be the biggest Persian event in Calgary. Thank you for your interest in the Kamran & Hooman concert, if you have any questions or comments please do not hesitate to contact us at info@parsentertainment.ca. You have a voice at PEL. Please be advised all tickets will be sold cash only and no Credit or Debit cards will be accepted as it effects the Sales & Tax of the stores. Please be advised that if a children ticket has been purchased, Pars Entertainment Ltd. reserves all rights to ask for any kind of id to identify the childes age. If over 12, we will charge the $79 at the door ticket and the child ticket will be voided. *VIP tickets will have the following benefits: you will receive priority line up, priority seating, priority bar line up, and meeting Kamran & Hooman for autographs and pictures. Limited quantities. **Upgrade tickets are available for VIP ticket holders ONLY. If you have a VIP ticket and would like to upgrade family members or friends to sit with you, you may pay an additional $20 to have their regular tickets upgraded to priority seating and line up (one upgrade per VIP). Those are the only benefits of having upgrade tickets, there will be no meeting K&H and also no priority bar line up. E.g. Mr and Mrs. Smith are attending the concert, but Mrs. Smith wants VIP tickets and Mr. Smith does not, so Mrs. Smith purchases herself a VIP ticket and upgrades Mr. Smith's regular ticket to Upgrade. This allows Mr and Mrs. Smith to sit by each other during the show, and let's Mrs. Smith meet K&H. (please be advised that this service will only be available through contacting Pars Entertainment directly at info@parsentertainment.ca). Not to be missed - Don't forget your costume! Roundtrip ticket to LAS VEGAS! Sol Y Luna SF, Mirza Party, Rhythm Ethics, Essential Nightlife & Appollo Ent. SF's top International promoters team up with SF's hottest House and Hip-Hop promoters to bring you the sexiest Halloween you've ever been to. 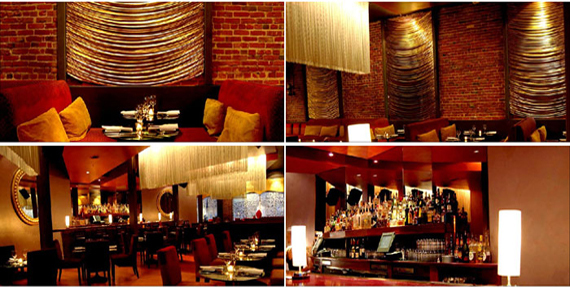 Roe of course is the venue of choice with its 3 levels, huge capacity, and gorgeous decor. To spook things up, Roe will be decorated with over $10k of haunted decor. If you're looking for the place to be for Halloween, this is it! First 100 Tickets are only $20!!! Click to view 300 Pictures from our previous Halloween!